Forgot about this cutie. Bestest in Smile! Mike Frey, hottest volleyball player from DLSU! Here’s to an enjoyable weekend to all, however you planned your Saturdays and Sundays. Lots of things to do! Maybe go away for a while and take your thoughts off the stressful zone. Or just stay home and stay by the pool. Man of the Year Karanjit Singhdole is relaxed, as the weekend is already here! Bikini open boy Tommy Cayampat returns! It’s not that bad. The 2016 selection for this year’s Cosmo “69 Hottest Hunks” is a motley group of cute boys and hunky foreign men. Some are awesome. Some are not. Who will fire up your hotel hookup fantasies? And the awards and citations go to…. Bikini contests just got creative! It is really that time of the year when the fine boys come out to play and well, pose and preen before the cameras for Cosmopolitan (Phils) magazine’s annual list. This year’s a good lot, as compared last year. James Reid is the leader of the pack, and rightly so! Then Albie Casino and Diego Loyzaga get their turn to show off. 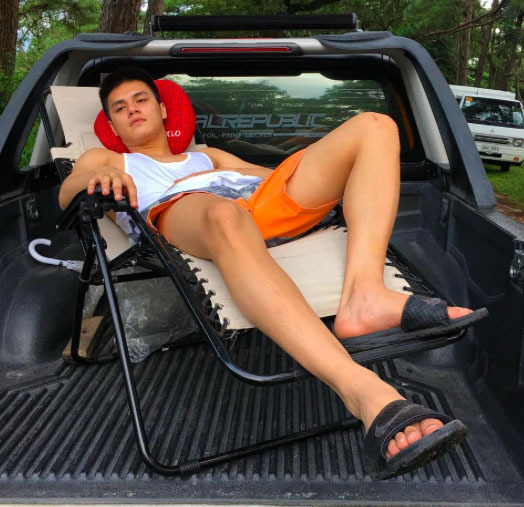 From showbiz, relative comers Tommy Esguerra, Zeus Collins and JC Santos take their shirts off in the name of hotness! The hunky older models – Tom Esconde, Stefano Churchill and Misagh Bahadoran, get to represent as well!